Bride and Groom U & S.
Entrusted by the bride and groom, their parents and multiple sites and suppliers. 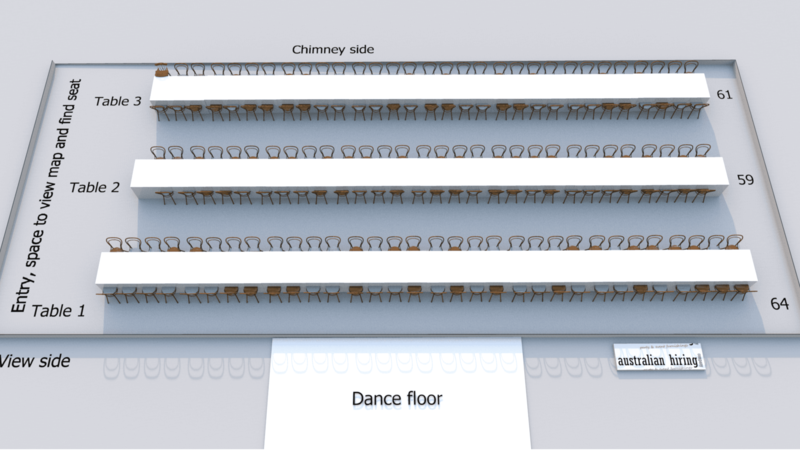 We delivered pavilions, stage for a traditional Mandap, tables, tableware, chairs, dance floor etc. 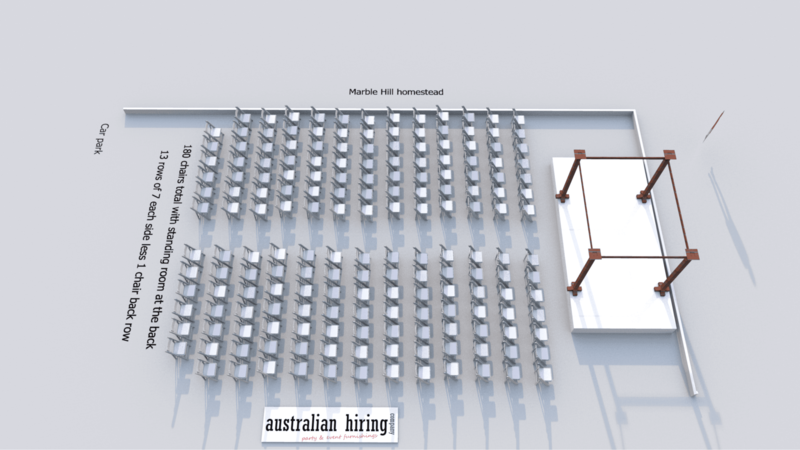 The Ceremony white pavilion at Marble Hill featured a white clothed stage for the Mandap and Americana chairs. 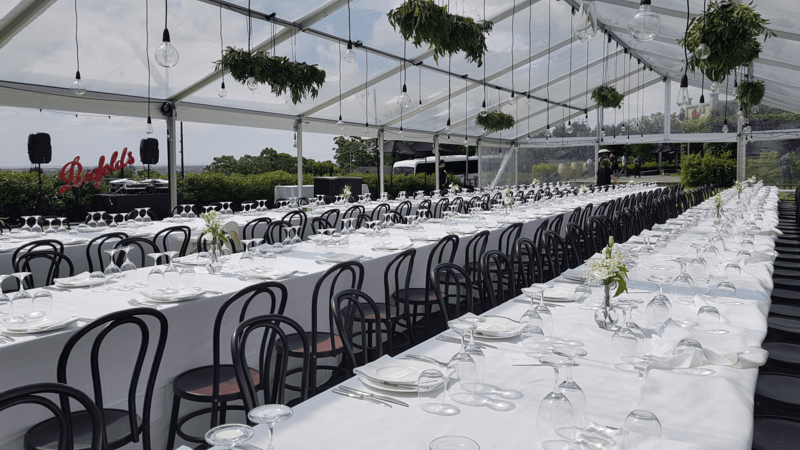 The clear roof pavilion at Penfolds Magill Estate was lined with 3 long rows of wide tables and walnut bentwood chairs. 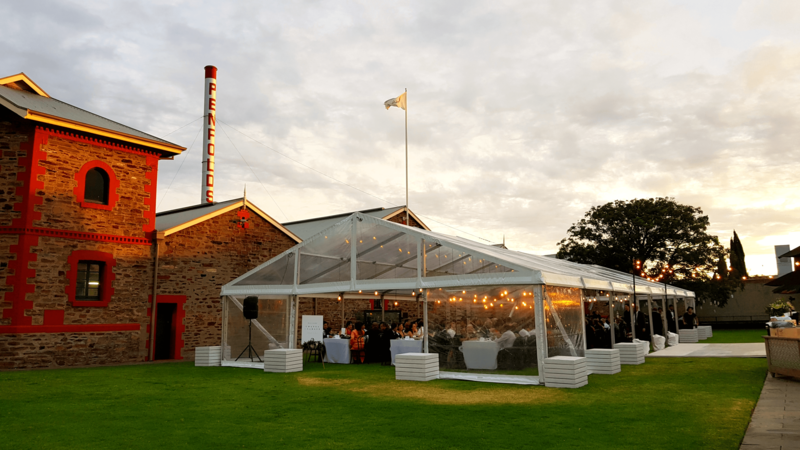 The white vintage dance floor outside overlooking Adelaide and the fitting spectacular sunset. “Our wedding day at both sites was exactly as we had imagined. The set-up and set-down was seamless and on time, per the arrangements. The logistics was never a concern. From the visual side of things, the marquees were elegant, as were the table and chairs, and crockery. Magill Estate looked stunning at night. The dance floor being arranged parallel to the marquee was a clever suggestion and made the site look incredible. Your personal communication, responsiveness, attention to detail and willingness to assist at any time, if it were after hours, was highly appreciated and very professional.